It looks like Tony Stark used his super power with Nebula to get a ship up and who will we have in play to rescue him? Surviving Nova Corp, Stakar Ogard and the original comics version of the Guardians, Valkyrie and the last Asgardians or Captain Marvel. Meanwhile on Earth people have gone mad and Hawkeye is a local vigilante. Meanwhile either alone or with the help of Bill Foster and Ghost Scott Lang has gotten out of the Quantum Realm with the key to victory. Heh, I'm sure Reddit is broken this morning. I like that there's not much to the trailer that we haven't kinda already figured out, I don't want to know much. When they do a second trailer I'm debating on not watching. I want to be surprised by this movie. The counter was showing 39,000+ comments on YouTube when I watched the teaser trailer but they won't load. I love Scott soooo much. And I love the undusting of the Avenger's logo. Also MUCH prefer Endgame over any of the other titles that were floated. I'm so not ready for this...chills just watching it. And I love the undusting of the Avenger's logo. And Cap with a tear down his cheek. And Nat and Cap. And I love Scott. I'm good with it. But dang starting with Tony (and with those lines) I'm...going to be a blubbering mess. I don't want to know much. When they do a second trailer I'm debating on not watching. I want to be surprised by this movie. This sounds like something my husband would say. He does not like spoilers and wants to be surprised. I'm less sanguine about it because I like to see it all together and little spoiled moments don't ruin a movie for me. But this movie, I don't know. I have a feeling there will be another trailer before Captain Marvel. Also MUCH prefer Endgame over any of the other titles that were floated. Especially since that's what Strange says to Tony at the end. "We're in the endgame now." Heh, which the Russos specifically lied about when they said the A4 title hadn't been said in IW, otherwise I would have been hoping for that as the title all along. Those pesky Russos!!! Hey, I could be wrong about that quote. I may have to watch Infinity War again. Dang. No, you're right. That is what Strange said, and it's why Endgame was discounted as the title every time someone brought it up. That trailer revealed virtually nothing but my god am I a mess over it. Tony recording that message for Pepper not even knowing if she's alive is heartbreaking. I love me some gravitas. I was looking it up on youtube when you confirmed, and boy did that set off a bunch of feels. I haven't watched Infinity War since it was in Theaters....the dustings are still painful, especially Groot and Spider-Man. Although, it's the first time i noticed that Wonda seemed at peace with her dusting. Hey, half the world is gone, but Scott's still Scott. That's gotta be good news. Although, it's the first time i noticed that Wonda seemed at peace with her dusting. Yeah, she had failed to save Vision. Also in the trailer... Steve looking at Peggy's picture in the locket. The last time he did that, he flew a plane into the ice. Scott being Scott probably means most if not all of his loved ones survived. Because if he lost Cassie then he would be non-functional. I also noticed that the only people we saw where are original six Avengers aside from Scott and a glimpse of Nebulas hand. They're still playing it pretty close to the vest on who survived the dusting and who didn't. Yeah, I became a bit emotional almost the minute he started talking. I'm so glad we have Captain Marvel to break up the wait! Shuri's gone too! I thought they said she wasn't! Who's going to help fix Vision now? Bruce can't do it alone! Who's going to rule Wakanda? Poor Ramonda, if she's alive she's lost her whole family. This is too much. And Scott will save us all. Shuri's gone too! I thought they said she wasn't! The trailer, particularly the part with Steve and Natasha, was digitally altered (like Thor's eye in IW) to include Steve's Stealth Suit and Nat in blonde hair because they're wearing the Quantum Realm suits and Nat has her long, red hair back. It seems like they think Scott is dead until he shows up at their door. Yeah, I'd assume they'd think everyone that was missing is dead. Especially since Scott will probably have been gone for years at that point. But Wakanda has hidden from the world for their entire existence. It's been part of their cultural heritage and T'Challa was only just starting to change it, so I could see Shuri and Okoye going underground after something so catastrophic, and then working in secret. But they also mess with trailers, so it also might not be a real shot, especially since her picture morphs into Peter. I do enjoy the thought of Scott doing a little cross-country road trip in the Ant-Van. It's a long trip from San Francisco to Upstate New York. He's got to have some fun adventures that will serve as a nice contrast to Tony's time in space. He's got to have some fun adventures that will serve as a nice contrast to Tony's time in space. Yeah, I've seen it speculated that it might actually take Tony and Nebula years to get back/get 'rescued'. I wonder if Banner is talking to Shuri instead of her being gone. The only reason why I say that is because the Russo Brother’s Twitter Banner has everyone else who we know survives the Snappening-orginal Avengers, Scott, Nebula, Rocket, Captain Marvel, Rhodey, and Okoye. The two on the banner from Wakanda we didnt know but are on the banner are Shuri and M'Baku-which I thought meant they also survived. And in the picture-Shuri has on the Black Panther necklace. All hail the Queen! We don’t know about Wong’s survival either and he’s on the Twitter banner too. Sentimentally-Stan Lee is also on the banner. Which gives me hope for his final cameo. I think I might try to avoid spoilers. If this is one of the last movies with original Avengers, I think I want to be spoiler free. But damn, what a trailer. Very good trailer. I thought it hit the right notes without giving too much away. Come on April. 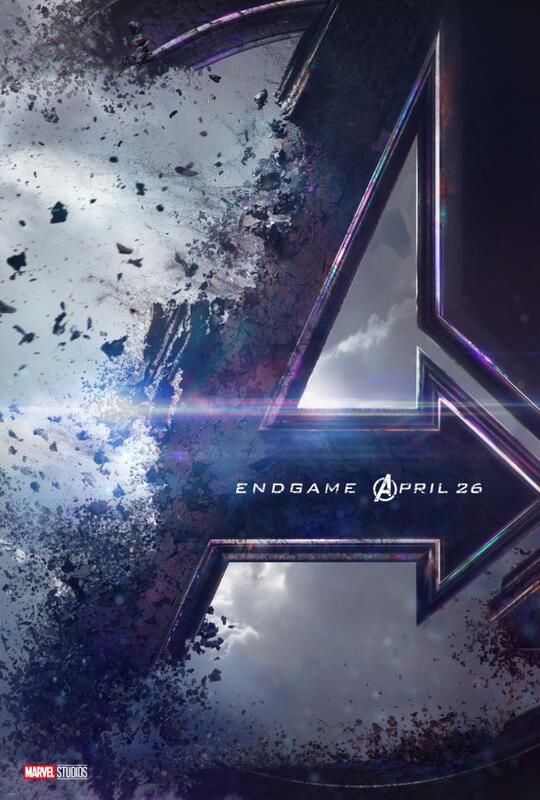 The only reason why I say that is because the Russo Brother’s Twitter Banner has everyone else who we know survives the Snappening-orginal Avengers, Scott, Nebula, Rocket, Wong, Captain Marvel, and Okoye. The two on the banner from Wakanda we didnt know but are on the banner are Shuri and M'Baku-which I thought meant they also survived. And in the picture-Shuri has on the Black Panther necklace. All hail the Queen! Ah!! Yes, I like the idea that he could be talking to her!!! I actually like that a lot better than them being in hiding. What I can't understand is *why*. There are 2 ships on Titan after the snapture. And Nebula knows how to travel the galaxy. Why is this a thing? I was thinking about this and maybe it's a consequence of half of all living things being snapped out of existence. We saw a plane crash in the end credit scene of IW, and I am betting that was just the tip of the iceberg for the catastrophe that followed the snap. Things aren't going to work the way they did before. I love that it's the original 6 (though they are very light on Thor), plus Scott and Nebula. Scott is probably in it because he will have the solution and Nebula because she is the closest to Thanos (aside from Gamora but she is dead). I like all the dread and the weight that you can feel on these characters. I wonder though why Nebula and Tony aren't together. I thought the only ship still space worthy on Titan was the Benetar. Nebula is on it but Tony seems to be on a different ship or am I imagining things. Just the opening moment with Tony is already better than both Captain Marvel trailers combined. That's the guy we will lose (along with others) as the face of the franchise, to be replaced with Larson/Captain Marvel? I'm concerned. I wonder though why Nebula and Tony aren't together. I thought the only ship still space worthy on Titan was the Benetar. Nebula is on it but Tony seems to be on a different ship or am I imagining things. They are together, it's Tony's shoulder that Nebula places her hand on. You are killing me! Oh Tony! "Part of the journey is the end." Sob. My Thor! He looks distraught. Peggy! Does this mean that Steve gets to home to her? Please, please! It would be my dream ending for him. Yep, Scott is the answer to reversing everything. Well if Nebula is with him then I don't get how they are adrift in space without food/water. She knows the galaxy after all. Did they go off course or something? Seems weird. Yep, it means hope. Our heroes rise to save us! In a post-snap universe, maybe not so weird. Yep, already crying after just a trailer. I am gonna be SUCH a mess in this movie y’all. Edited December 7, 2018 by Shannon L.
Hasn’t Tony used the term Endgame too? Talking about protecting the Earth from everything that is unknown in Space? If he has, maybe its poignant that Strange used Endgame and now its the title. Maybe Tony has the final key with his plan to protect Earth to help end the snappening?? We get to my wish. The space ships were damaged so Tony had to use his super power to stitch something together. And with every society experiencing a simultaneous "decimation" whatever normal galactic search and rescue as well as full societies, if you lose against the odds as seen on a San Francisco rooftop gone they are out in space on a forlorn hope. You're right! I forgot about him. Before the second movie, but after IW, I thought maybe Hank Pim would be around to help, so when he, Hope and his wife were dusted, I wondered how it would all work out (and I was so shocked by the ending, that I wasn't even thinking about Bill Foster). Planets or entire solar systems didn't get wiped out as far we know. Just half of what's on the planets. So the planets still exist where they could land and get something to drink or eat. Unless of course the ship had some malfunction (most likely) which is why they are now drifting though space. Btw is it just me or are Tony and Nebula primed to be rescued by Captain Marvel? If there is less going on in space due to the snapture, something still has to intervene. We can assume they aren't going to die this way. However that would be the weirdest coincidence ever (bordering on deus-ex-machina). She just happens to fly by exactly there on her way to Earth? I'm betting Tony rigged some sort of distress signal. I went from bleakest despair to desperate hope in two minutes. SOMEBODY SAVE TONY FOR THE LOVE OF GOD!!!!!!!!!!!!! As Marvel fans know, "Rescue" is the name given to Pepper Potts when she gets her own unique suit of Iron Man armor at one point in the Marvel Comics series. So cool. I would love it if Pepper rescues Tony and Nebula. I’m pumped. And Disney moved the general premiere to late April. I wonder if that’s the new status quo, and whether Free Comic Book Day would move to that weekend if that was the case. Second trailer will probably be more fun. Scott trying to get buzzed in works for now.